Fiia McGann is a Seattle native who started playing bass in her first band in 1983 as a sophomore in high school. She has been playing music ever since. Some of her past bands include Animal Kingdom, Miracle Baby, Goodness, Orbiter and Mexican UFO. Fiia continues to write and perform. 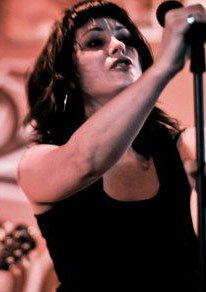 Currently she’s the lead vocalist in The Pytons, a seven piece, vocal heavy, pop/rock/soul band. She is also playing Bass in the These Streets band Act Theater performances starting 2/21.